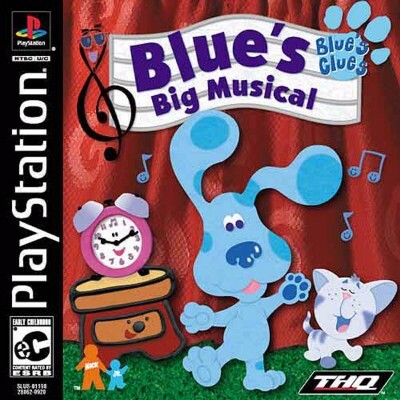 Blues Clues: Blues Big Musical (Sony PlayStation 1, 2001) Great Condition! BLUES BIG MUSICAL BLUES CLUES PS1 PLAYSTATION 1 BLACK LABEL COMPLETE! !